More than 34 years of excellent medical practice. Affiliated with the Dallas Regional Medical Center, Mesquite, Tx. Dr Ike Osuji was trained at the University of Jos in Nigeria. After a brief period of medical practice in Nigeria, he immigrated to the United States. He initially attended Boston University where he studied ‘International Health’ in Developing countries. He then went to Howard University where he worked for one year as a research graduate at the Sickle Cell Center of the University. Subsequently he entered the Residency program of Howard University hospital and became a Board Certified Internist in 1997. He has since updated his Board Certification. During his training at Howard University he was also a Chief Resident of the program. 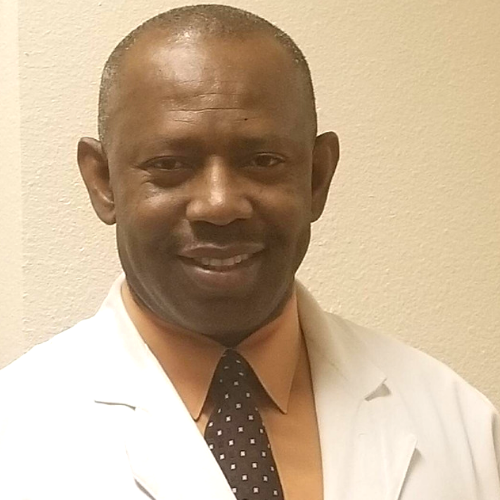 Following his initial Board certification, he decided to pursue his interest in Public Health and went into the George Washington University where he graduated with distinction in the MPH program. He then worked in various settings including Emergency rooms, Urgent Care and hospital settings before settling down with his own practice. Even now he enjoys taking care of his own patients at local hospitals he is affiliated with. He also has interest in research activities and care of the elderly. He has special interest in treatment of Obesity related disorders such as Diabetes Mellitus and Hypertension. He places special emphasis on prevention rather than treatment. He is married and has a daughter and a son. His hobbies include Tennis, soccer and reading. Quality Care Health Clinics is a primary care Internal Medicine practice whose priority is the prevention of disease and the diagnosis and treatment of non-surgical disease in adolescents and adults. This includes general physical examinations, treatment of acute medical illnesses and the ongoing care of chronic medical diseases. We also provide preventive and screening medical services.